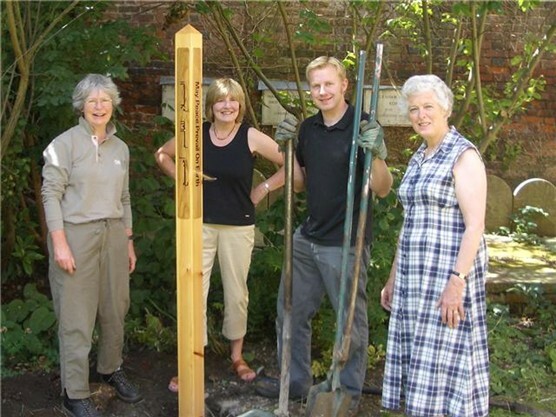 This is the ‘behind the scenes’ view of the day the Peace Pole was ‘planted’ in the Quaker Garden. It has the words ‘may peace prevail on earth’ in four languages – English, Russian, Arabic and Japanese. In 2007 the then Hertford Youth Council had organised a Holocaust Day event and wanted to plant something in the garden as a permanent reminder.